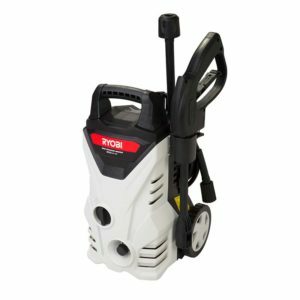 Ryobi’s high pressure washers can tackle any cleaning job, no matter how tough. Cleaning the driveway and car can be handled with the same ease as blasting paint off bricks, or removing grime and grease off machinery. 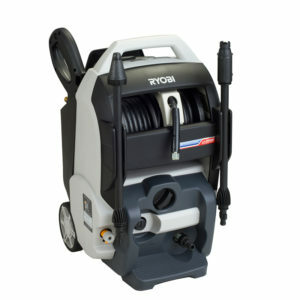 Our washers use up to 80% less water than your garden hose. This means you can clean faster and more efficiently than ever before. 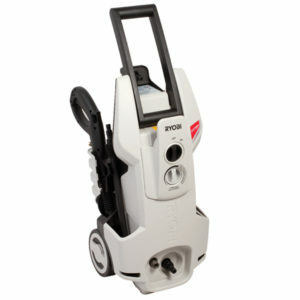 Ryobi’s washers are available in 100, 120 and 130 bar machines. These units are fitted with a circuit break switch to prevent the motor from overheating. The pump assemblies are encased in shock-absorbing housings. Operating temperature varies from 0 – 60oC. Complete with a 5m hose and detergent bottle. 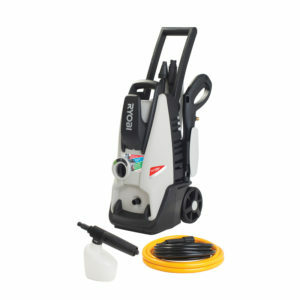 Ideal for cleaning paved areas, cars, bikes, caravans, walls and more, with a blast of water.